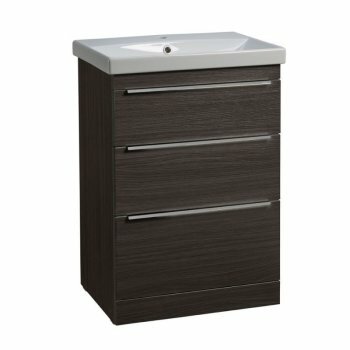 On display in our showroom we have this 600mm freestanding basin unit with 3 large drawers and ceramic basin in the basalt wood finish. This unit is also available in gloss white, stone grey and light grey. Samples of each colour are available to view in our showroom.